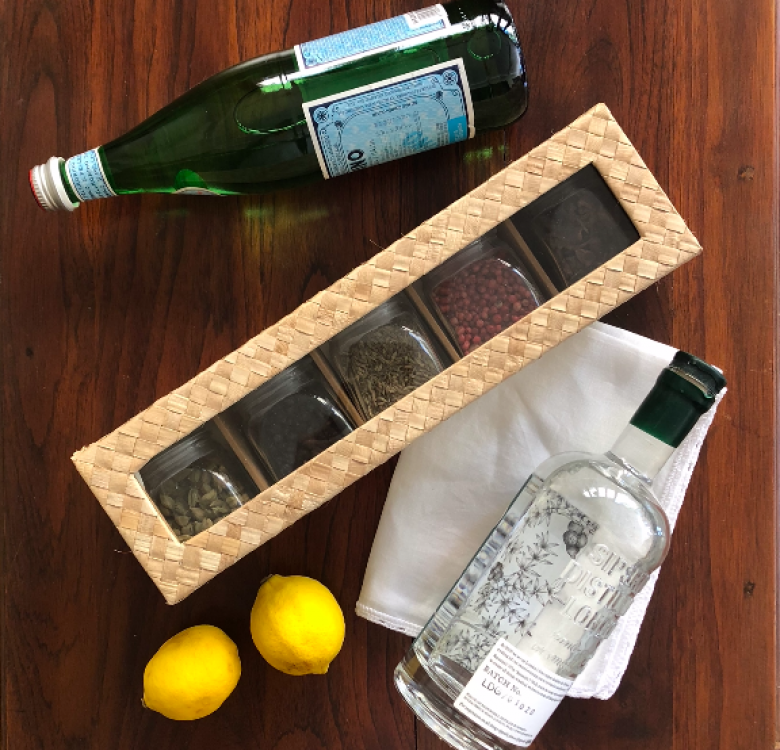 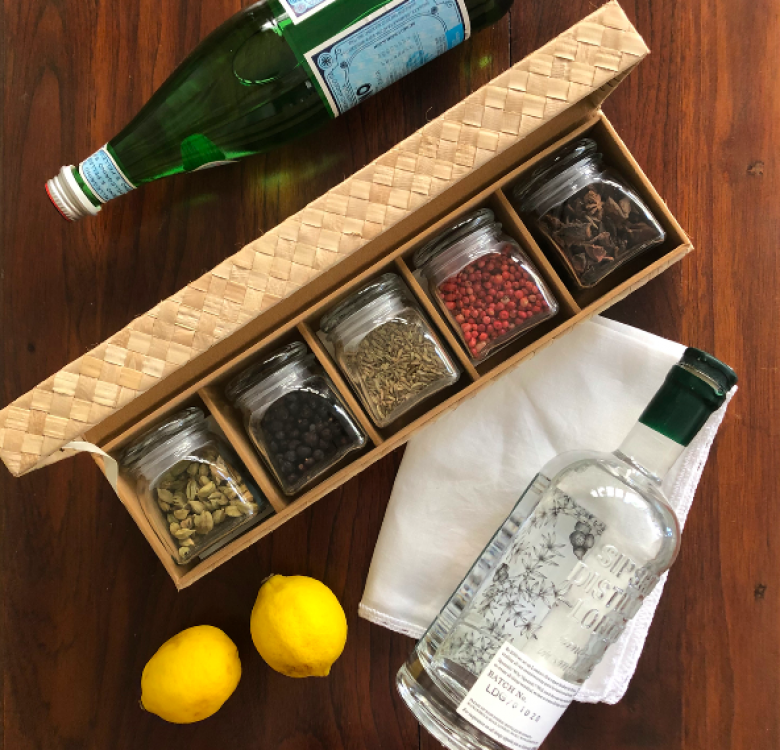 A bar cart must-have for any gin & tonic enthusiast. 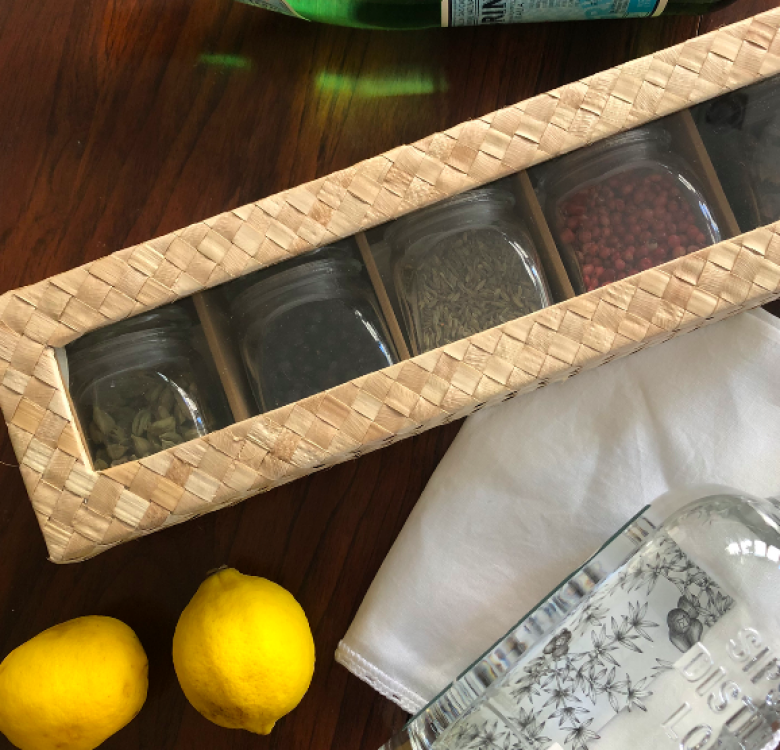 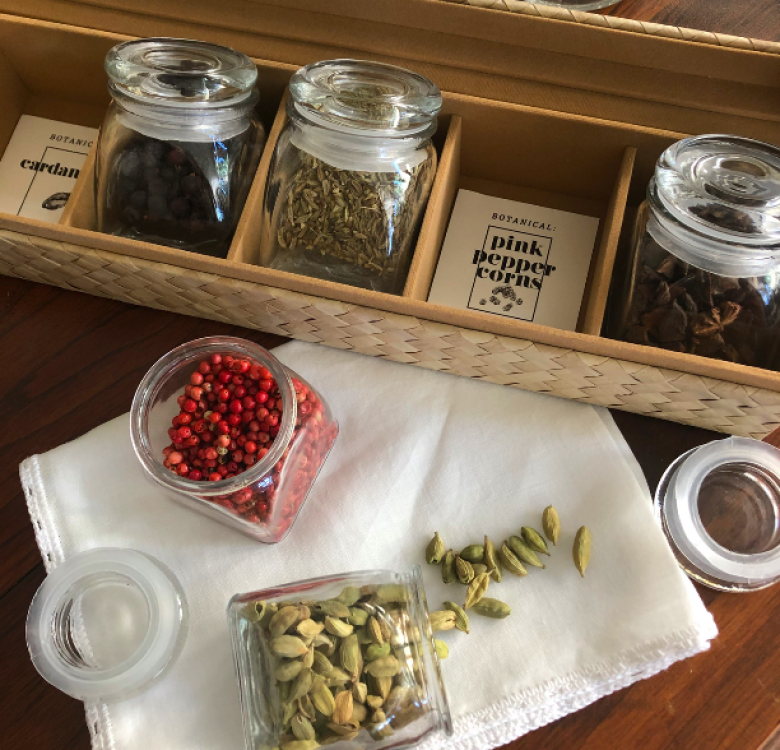 Set of five spices in a nicely woven buri box with glass cover and velvet interiors. 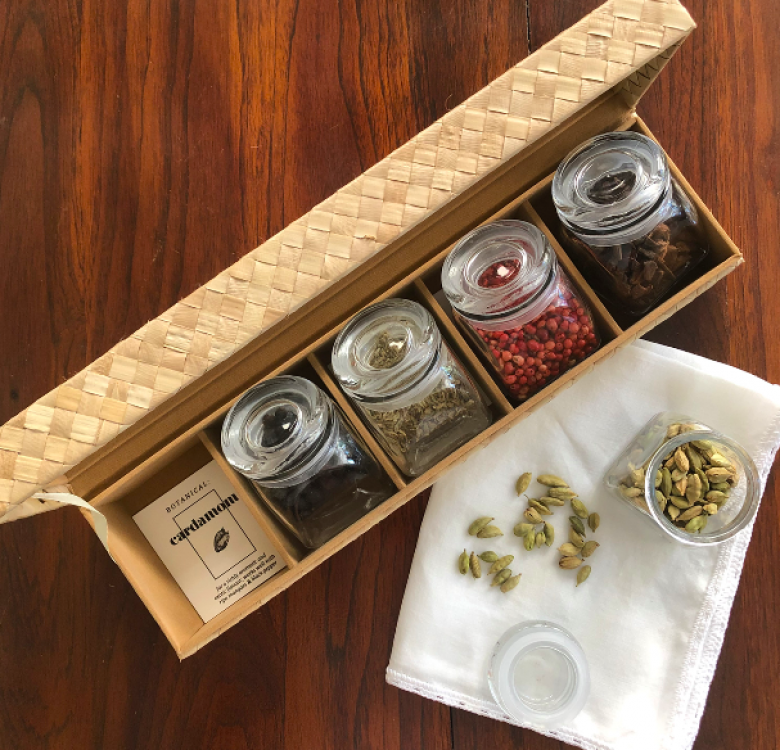 Each spice is nestled tightly in its own bottle so the fragrances and flavours do not mix with one another.